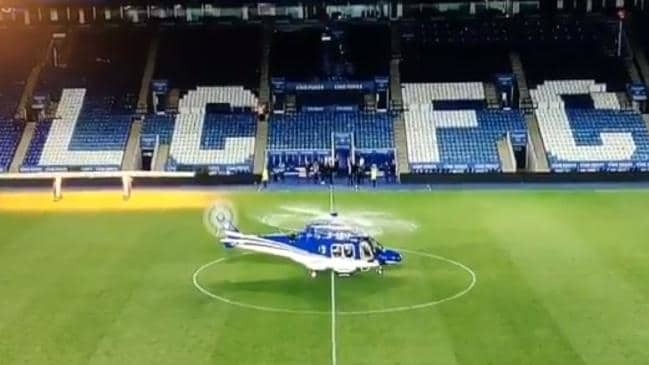 On Oct. 26, 2018, our industry suffered a high-profile accident when a Leonardo AW169 lifted off from the Leicester City football stadium. At an estimated 400 feet, the 169 was seen to enter a rapid rotation followed by a steep spinning descent. The helicopter crashed into an adjacent car park and was destroyed in the post-impact fire. Five occupants lost their lives. 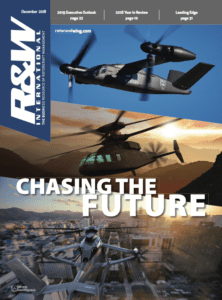 The U.K. Air Accident Investigation Branch (AAIB) quickly released an interim report stating the digital flight data recorder revealed a tail rotor problem when ... "the helicopter failed to respond to pilot yaw pedal inputs" ... the dreaded tail-rotor failure. I hasten to add the full facts of this accident must await the final report. 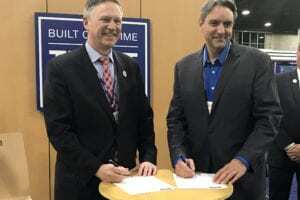 Having experienced three similar failures in my forty years and 20K flying hours, I'm still here to tell the tale and, more especially, how the problem might be handled. 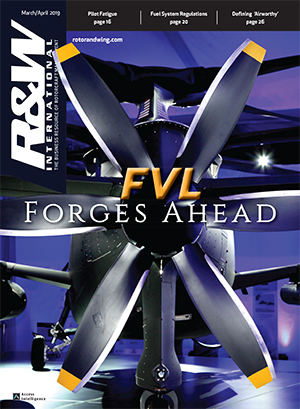 Very few flying schools actually practice this emergency and indeed, there is a school of thought that holds the basics of tail-rotor (T/R) failure handling can be learned with a good session of classroom study. I say this only to emphasize the importance of understanding the handling procedures and aerodynamic forces at work, so when the worst happens, our day-to-day handling skills give us a sporting chance of making a safe landing. These words are aimed at private flyers who fear the 'Big Bogie' and perhaps a few professional pilots will also benefit. Our design industry hasn't yet produced a bullet proof tail rotor system, hence these words, but I believe the required handling to recover from such a potentially dangerous situation is an important technique we should share. 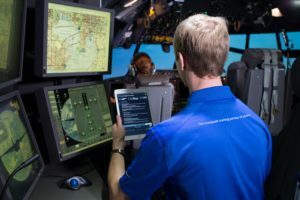 First off, once you are clear on the basic principles and the sequence of control handling, the failure can be handled successfully by most pilots. As you read further though, there are caveats and no guarantees. Most pilots will know, the worst-case scenario is a high-power, zero-speed, 'out of ground effect' hover at high gross weight. 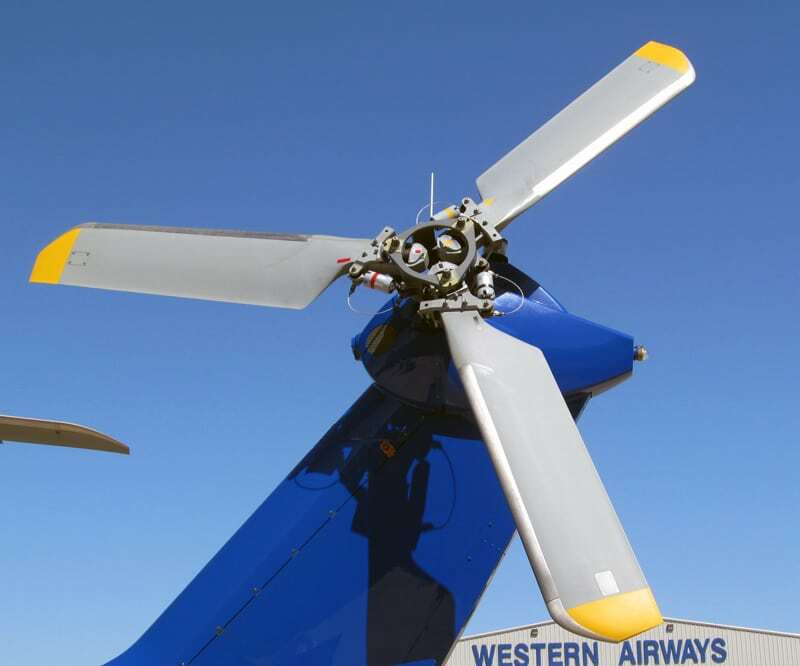 Tail-rotor failure is never welcome, but if you could choose, have your failure with plenty of height at low power and weight and above 60 knots. Sadly, the AW 169 pilot had none of these. FAA approved manuals include a height-velocity diagram — the so-called 'Avoid Area' being an airspeed/height combination where the manufacturer tells us in the event of an engine failure, we may not have enough height or airspeed to establish full autorotation and a safe landing. I call this 'hatched' area the ‘area of extra caution’. My view is we should include this area of extra caution in our tail-rotor failure study. Following a failure, the required handling to complete a safe landing is simplified if you will accept a very personal mantra. The tail rotor is NOT the problem! A few seconds for thought ... Please read this slowly and carefully. What we have is an engine we can no longer use for straight and level flight, but is a control we can use to carry out a safe emergency landing. My teaching is simply to convert the failure to a handling situation with which we are familiar: An engine failure and the autorotation descent we have practiced so many times. This principle has helped me in the past. The tail-rotor assembly is an anti-torque device, so failure means the yaw pedals are no longer effective. Don’t panic; we are far from being done for. Just remember in forward flight, heading is governed by two other forces, engine torque and airflow over the fuselage. (The weather-cocking effect) When tackling a tail-rotor failure, we use these two forces. 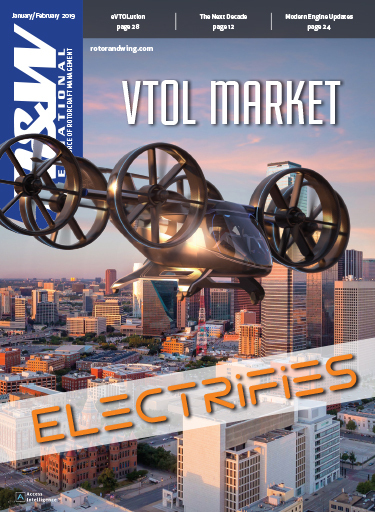 Engine power produces torque through the main rotor transmission. 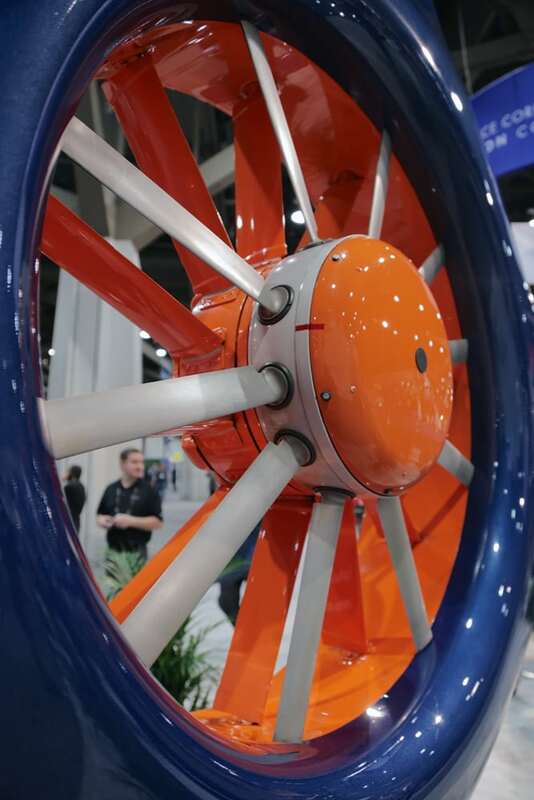 In U.S.-designed helicopters, this torque drives the rotors right to left when viewed from the pilot's seat. The reverse is true for most European products. Our esteemed friend Isaac Newton tells us an 'equal & opposite' reaction — his third law of motion — yaws the nose right. But — there's always a but in aviation — we have to remember that in a main rotor free-wheeling condition, friction in the drive system yaws the nose left. So, in flight, if engine power is reduced or disconnected from the drive system the nose yaws left in the direction of rotation of the main rotor blades. I like to place more emphasis on this free-wheeling characteristic. Sadly, I have to say most manufacturer's flight manuals ignore the situation and are notoriously short on information. Understandable perhaps, since manuals are not training documents. Some manuals and for that matter, some instructors, simply advise pilots to “carry out an autorotation landing!" Yes, initially dumping the collective lever is the correct action and closing the throttle will stop an un-commanded right yaw. However, it is at this point the airframe takes up its free-wheeling mode and yaws left. If you follow such advice, things go badly wrong in the descent and final flare stage. It matters not one jot if you strike the ground spinning left or right. The result is an accident. 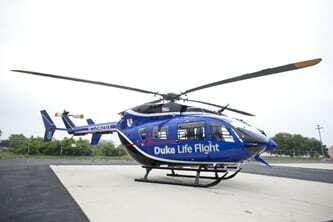 Unhappily, engines and tail rotors do fail even on sophisticated twin-engine helicopters. I believe regular discussion and emergency handling practice on all types is essential. On the occasions I have flown co-pilot in a big twin, I've asked the pilot to demonstrate the type's basic autorotation handling. Too often the reply has been "Why on earth would we need to practice that?" First we'll review the collective and cyclic controls to decide how things change with an inoperative tail rotor. The fact is they do not. What does change is our ability to maintain balanced flight. So can we be clear how we control heading in the new situation. Raising the collective lever, throttle open, the nose yaws right. Lever going down, throttle closed, means the nose yaws left. It is the other way round with foreign designs. In a fully co-related throttle system, handling only requires 'up or down' movement to change heading. Forget about balanced flight, though. From now on the slip ball will spend most of its time out of the cockpit! I haven't forgotten the cyclic. Again, very little changes. Cyclic still controls speed but see later the cross-control handling and indicated airspeed errors at unusual angles of yaw. Tail-rotor failure invariably follows a period of increasing and worsening vibration felt through the yaw pedals. This vibration is a warning. If alerted in this way, the pilot must not reduce speed, because at 60 knots the angle of right yaw is easily controllable. In level flight at lower speeds it is not. The pilot's initial reaction to a sudden right yaw is likely to be to press left pedal. This will have no effect of course and after a second or so, and at 60 knots, the airframe will have taken up a right yaw towards the 2-o'clock position. If no corrective action is taken, this right yaw progresses to become a rapid and probably uncontrollable 360 degree spin to starboard. At low or zero airspeed, spin rate can reach 300 degrees per second. Having run through the basics, we can now discuss the practice. From a stationary hover I ask my pilot to hold a four-feet skid height hover, but with both feet off the pedals and placed firmly on the cabin floor. On a one-two-three countdown, the failure is simulated by pushing right yaw pedal to initiate the right yaw. Enter the mantra! Using the thinking process my pilot has adopted we don't have a tail-rotor problem. Mr. Lycoming (the engine) is the guilty party! We simply need to get rid of the problem by closing the throttle. The right rotation stops instantly and depending on timing and hover height the nose reverses direction and turns left. 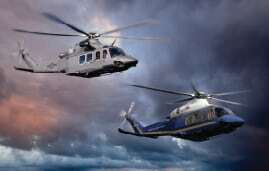 Rotor rpm will decay as the helicopter sinks. Collective lever is raised using residual rotor rpm to control sink rate and cushion the touch-down. It is important that even as the right rotation is stopped, the pilot continues to maintain the skids level hover attitude with cyclic as the helicopter sinks to the surface. Cross wind and tail-rotor drift. Once the skids have grounded, collective lever is lowered fully and cyclic is centralised. This failure is the real bogie and for the purpose of these notes and our discussion, we practice at 1,500 feet and 60 knots. With my pilot's feet once again off the yaw pedals, we simulate the failure by squeezing yaw pedal to produce the right yaw. At 60 knots yaw rate will slow at around the 2-o'clock position but in a real situation and if allowed to pass 3 o'clock, directional control will be lost completely. I have no experience of this extreme condition, but having studied videos of actual failures and been told by a factory test pilot who has, the helicopter yawed through 180 degrees, before rolling right into an inverted attitude. On that occasion, the pilot actually regained partial control and happily survived a heavy landing. Out of interest, and while filming Sir Ridley Scott's 'Black Hawk Down' in Morocco, I was positioned in a high hover above the well-known American film pilot Bob Zee. Bob was hovering an MD AH-6 'Little Bird' story ship at 20 feet AGL when his tail rotor was struck by flying debris from below. I watched with more than a fair share of alarm as Bob calmly allowed the helicopter to sink to the desert sand and regained control safely using the 'hover failure' technique. The AW169 at King Power Stadium minutes before the crash. So back to our tail rotor failure in cruise. With the helicopter yawing right, further yaw is prevented by lowering the collective lever and if necessary, closing the throttle fully. The right yaw stops instantly but, as in a hover failure, then reverses to yaw left towards the 10-o'clock position. The nose has dropped below the horizon so an input of cross-controlled right cyclic is used to hold attitude and maintain airspeed. This is the serious stuff. 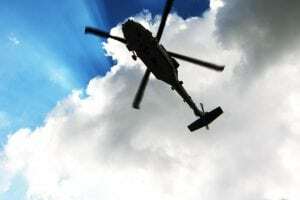 Rate of descent can be 1,500 feet per minute, meaning if you have a failure at 1000 feet and have been unable to take corrective action, the helicopter will strike the ground in a left spin some 40 seconds later. As the nose approaches the 10-o'clock position, collective lever is smoothly and incrementally raised to return the nose past 12 o'clock back to the 2 o'clock position. Left cyclic is now required. Careful handling and judgement are essential to determine a power setting that allows a 2-o'clock level attitude to be established at 60 knots. Coarse use of cyclic is used to maneuver and make heading changes to a suitable emergency landing site — preferably an airfield with fire, ambulance and rescue facilities. If level flight and height cannot be maintained it becomes necessary to locate an open and level hard surface within range for an immediate landing. Plan to land into wind or with any wind from starboard, not port. With control regained, the helicopter is flown 'crab fashion' to the selected landing site. A mayday should be made giving an accurate position report followed by a passenger warning and the emergency vital actions. 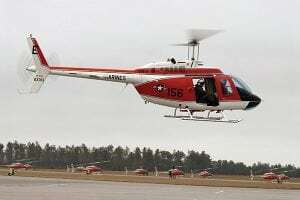 Height and speed are maintained until the helicopter is within autorotation range of the selected site. With the helicopter in a high 'final' position, power is once again reduced to bring the nose back to the 10-o'clock position and commence the descent. As the nose moves left, cyclic is moved right and forward to hold 60 knots, but without allowing the nose to move further left than 10 o'clock. At the 'short-final' position, aim to reduce airspeed to 40 knots and achieve a flattish 3-degree approach. Use the standard 'site picture' technique. Rate of descent should be 200 feet per minute toward the selected touch-down point. This phase of the approach requires special attention since a go-around, while possible, requires exceptional handling and judgement. 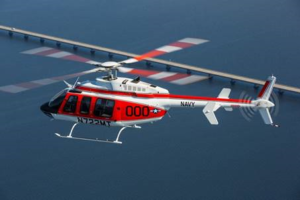 With the airframe maintaining the 10-o'clock attitude, at 20-30 feet AGL, aft cyclic is used to flare off speed and allow the helicopter to sink to the touch-down point. Collective lever is raised in the latter stages of the flare causing the nose to move right. At the same time, cyclic is pushed forward to a skids level landing attitude as the nose continues to yaw right past 12 o'clock toward the 2-o'clock position. Collective lever is held steady as the helicopter sinks still yawing right. Once the nose has reached the 2-o'clock position and regardless of height, throttle must be smoothly closed to bring the nose back left passing 1 o'clock towards a 'dead-ahead' 12-o'clock position. With the nose a whisker right of 12 o'clock, cyclic is moved forward to place the skids firmly on the ground. Once the skids are down, any residual forward speed has to be accepted. No movement of collective lever should be made until the helicopter has completely stopped. There can be a tendency to yaw left in any landing roll. This can be partially corrected with right cyclic. A starboard wind is also helpful here. The collective lever is then lowered fully and cyclic returned to the centre position. In the final descent and flare, especially accurate co-ordination of collective lever/throttle and cyclic is required. On helicopters having a fully co-related rotor RPM system, it is important you are especially competent with the use of these two controls. Finally, there are of course various partial failures to be considered such as jammed yaw pedals and asymmetric tail-rotor cable failures. These are usually covered accurately in the various manuals for the type and can be the subject of future discussion. These notes are the result of personal experience on single engine types. They should be practiced only in conjunction with a suitably qualified and experienced type rated instructor. Nothing is intended to contradict other established methods of teaching but are offered as guidance following extensive study and experience. No liability is accepted as a result of these handling recommendations. The above procedures have saved my bum and damage to the helicopter on no less than three occasions. Safe flying to you all.